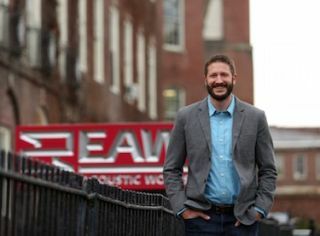 Eastern Acoustic Works (EAW) has appointed T.J. Smith as president and general manager. Prior to joining EAW, Smith held a variety of leadership roles within Harman. His most recent assignments include four years as general manager of the company’s operation in Shenzhen, China and management of the signal processing brands based in Salt Lake City, Utah. The addition of Smith to the organization combined with the retirement of Kenton Forsythe has facilitated the transition of Jeff Rocha into the role of EVP of strategy and business development where he can focus his efforts on a forward-looking product roadmap as well as help grow the EAW footprint in core vertical markets. Smith holds an engineering degree from Oral Roberts University and an MBA from Indiana University. He is in the process of relocating to the company’s headquarters in Whitinsville, MA.